LTD Commodities has so many fun items to help throw parties and gatherings. LTD Commodities sponsored this post. All opinions are my own. Shopping on the LTD website is seriously a blast. Not only do they have a huge collection of cool items, but their prices are amazing. 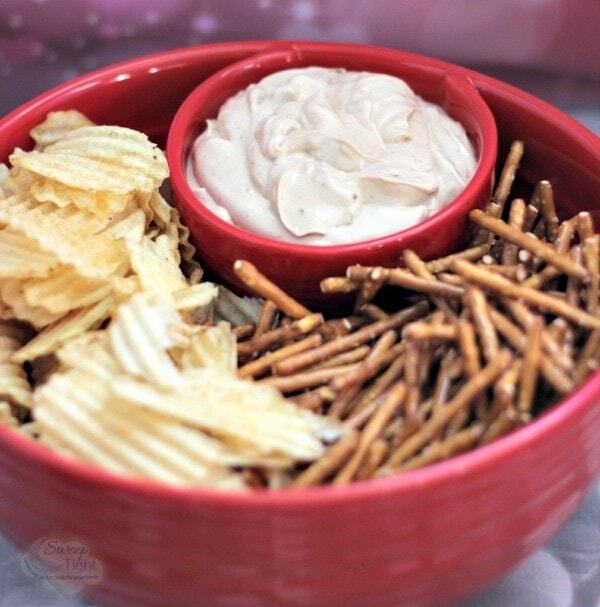 Defense Dip (recipe here) in the Chips ‘n’ Dip Bowl. With the “Big Game” this weekend and Valentine’s Day coming up, I had been thinking of throwing a few little gatherings. I fell in love with the Oversized Chip ‘n’ Dip Bowl right away. That bowl will be used several times throughout the year, and it doesn’t even have to involve other people coming over. 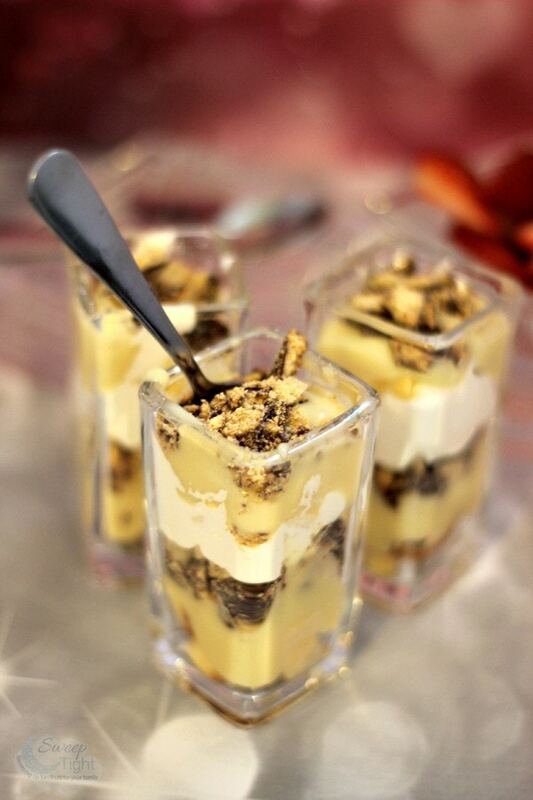 When serving appetizers in the past, I have always used large dishes and plates. Well, that’s going to change now that I have the 12-Pc. 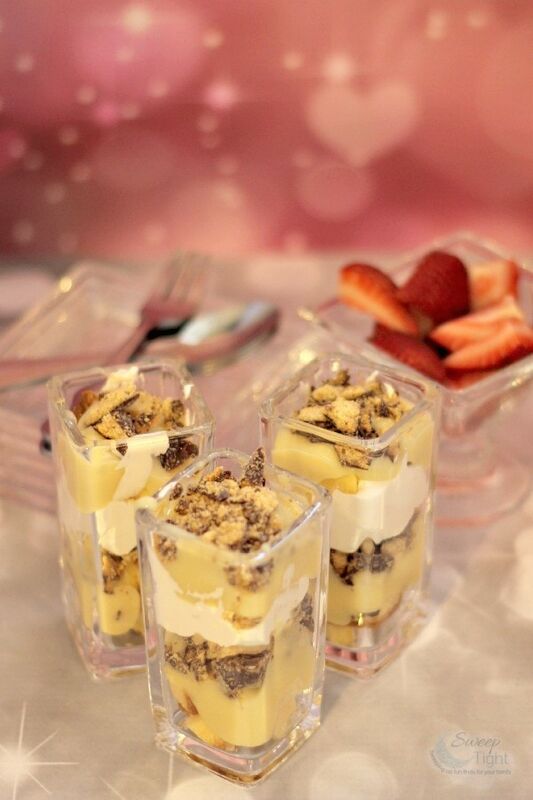 Mini Taster Glass Server Sets. These tiny serving dishes, bowls, and plates with silverware to match, just make me feel like the classiest host on the block. Not that I want to ration my guests, but what a great way to enjoy tiny portions of everything. I cannot wait to have the next girls’ night in. We often like to make a meal out of appetizers. 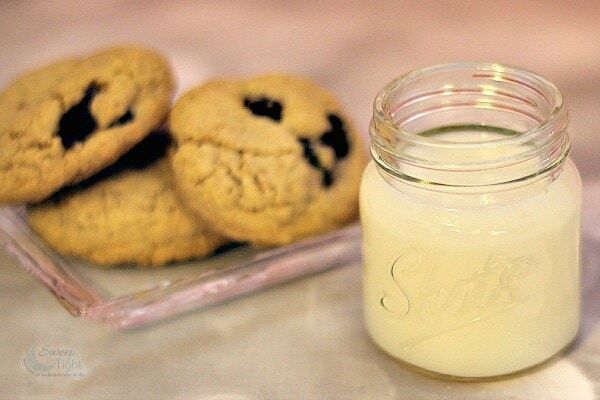 Overtime Oatmeal Cookies (recipe here) and Mason Jar Shot Glass. If you haven’t had enough of mason jars yet, no worries. There are tiny mason jar shot glasses. To keep it PG, I put milk in one. Hopefully, some celebratory shots will be happening on Sunday. 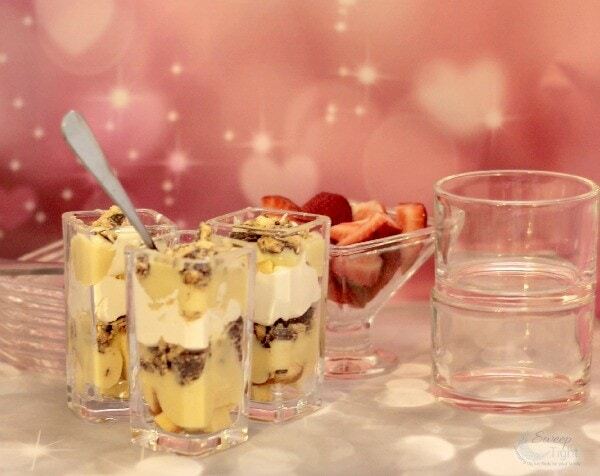 Touchdown Trifles (recipe here) in the 12-Pc. Mini Taster Glass Server Sets. Mike has requested chili on game day, which will be perfectly served in the set of 2 Stoneware Soup & Side Bowls. A nice, warm, hearty bowl of chili before all the dessert treats is a necessity. 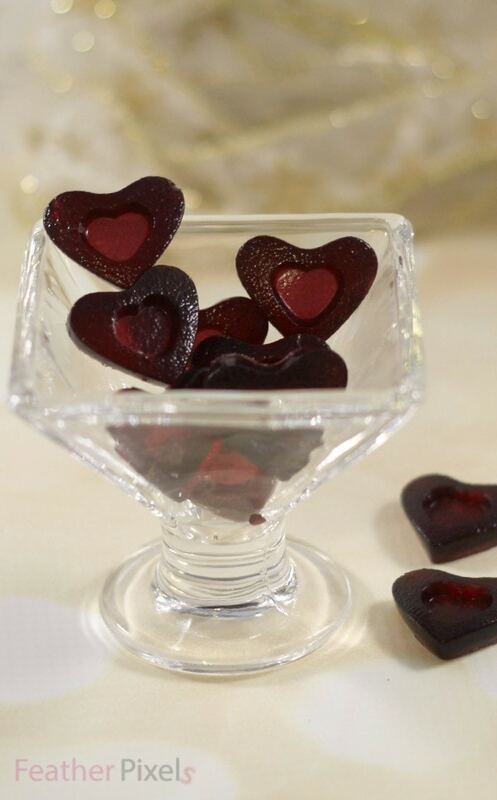 Winner Wine Gummies (recipe here). Some of the other items that I got were completely random. LTD Commodities has it all, and I went a little crazy in every section. I got cookbooks, baking tools, some decorations for the house, sock monkey pants, a shirt for Mike, and even dog toys. They switch up the items all year round, so I know I will be a frequent shopper. Once I get serious about redecorating my office, I will be back for some of their creative organizing items. Looking for ideas for the big game? 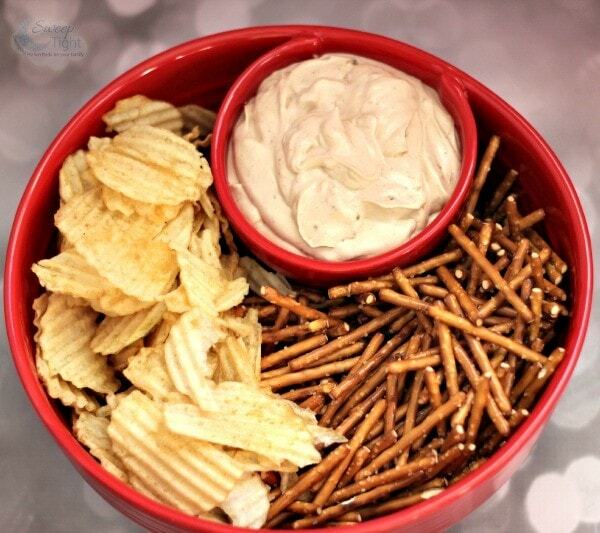 See here: Super Party Ideas for Football’s Big Game. I might buy the Purple with White Frame 6-Bin Canvas Storage Unit. I might get the 30″ Wood Guitar With Case for my grandson. The sleep posture bed pillows would be something I might purchase. I might get a few of the freezable can coolers for my favorite team. I would get the Women’s Tab Sleeve Top and Pant Sets. I like the hide and seek pig statues. The hide and seek pig statues are neat. So many great items…One I found that I liked are the Set of 2 Food Storage Bags. Onions and potatoes will be kept off the counter and keep fresh in these bags. i’d love the set of 2 food storage bags. I know my husband would love one of the throws! I may get the Kensington Rose Sherpa Throw. It’s so pretty. I love the Wall Quotes! Family is very important to me. I might get the Coffee Pod Organizers Drawer Holder or Pine Cone Quilt. I might get the 4-Pk. Scented Hand Soaps. I also would like to have their 18-Pc. Locking Lid Storage Set. I love the hide and seek pig stautes. I would get the Steelers wine glass set. I’d love to buy the Mason Jar String Lights! I like the glass bowl set! LTD Commodities have so many fun things to purchase. My first pick would be the CD and DVD storage bags. I would give storage bag to my teenage son so he can store his CD neatly under his bed instead of all over my house. I would like to have some of their 24-oz Licensed SpongeBob Soup Mugs. I like the NFL Freezable Can Coolers. I like the NFL woven baby blanket and the football onsie. The Kids’ Hooded Beach Towels are so cute and would make perfect gifts! If I won I probably would buy the 4 ft. Multilevel Cat Tower! We really need one for our cat Spazz! Collapsible Pet Carrier can’t beat the price. I would get the NFL Fleece throw and the NFL Vinyl floor mats! I’d buy the baby smartphone.. my daughter would love that. I would maybe get the Divided Trunk Organizer with Insulated Compartment. My car is so messy because of my girls. Thank you! I think the Set of 4 Pumpkin Side Dishes are so neat and perfect for fall. I’d buy the Bronze Over-the-Sink Shelf. I would probably get the Bathroom Towel Stand. I might the 112″ Wide Blackout Patio Curtain. I really need one for my door. I like the 80-Light Solar String Lights! I might buy the multi-layer cake ring. I like the Personalized Alphabet Baby Quilt. If I won this I might get the NFL Green Bay Packers duffle bag. I would love to get the Sets of 2 Solar-Lighted Balloon Stakes for my garden area. Mason Jar String Lights love those to decorate our patio outside. I might get the Penelope Bedsheets. I would love to get the Nonskid Memory Foam Kitchen Rugs! I would probably buy their Scooby Doo Remote Control Mystery Machine. mini taster glass look neat. I would sure put the Easy Greasy Colander to good use….it’s a great idea! My hubby wants the nfl fleece blanket, so I might him that and I love there candles. I love the Mason Jar String Lights they have. I like the Personalized Memorial Wind Chime. I might buy the Pet Memorial Stake with Bell for Muffin. Astro on the other hand…. I would choose something for my garden, maybe the animal-shaped bird feeder, and then something for myself, maybe the women’s know front dress. I am always purchasing something from their catalog….but I would Love to Purchase the Adirondack Pet Collection that I just saw!! How CUTE!! The set of two pasta scoops! They have lots of neat things! I really like the rainbow parachute with 24 balls for the kiddos and the womens hem topped and curved capri pj set for myself! I would like to buy the fairy and gnome garden kit. If I won this I may get both! I would like to get one of the Monthly Personal Organizers. I like the bathroom towel stand. The pet adirondack items are cute too. I’d love to get my hubby one of the Personalized NFL Stadium Prints. It would be a nice Fathers Day gift for him from the kids! I liked the Memorial Wind Chimes. Thanks for giveaway. I would have to get the Peace Bedding Collection for my granddaughter. I might get some cookbooks. I’d start with the Brass Hose Elbow! What a brilliant little idea! I could use the extra long braided runner for my entry hall. I might get the Corner Shutter Storage Cabinet if I win, I an always use more storage and I really like the shutter look on the doors of the cabinet. I would get the elephant plant stand. I would get the 3 pc owl serving bowls set. I found several interesting items on their site…. would get the Techko® Slim Door Guard Alarm. This would be great to hang on the backdoor. I like the rolling meat tenderizers – although there are so many neat and nifty things here. I really like the holiday scarves! I would like to have the Horse framed personalized print. So many items to choose from. I might choose the mesh office organizing containers. I loved to get the musical theme shelfves, since my family loves & plays music that would be so cool. If I won I would buy the Peace Sign Nightstand. I would like to get the 3 piece NFL comforter set. I might buy the Personalized Street Scene Wall Art! That looks so cool! I could use a small shoe rack, and I like the Irish Cooking cookbook. I heart the Purple Peace Sign Nightstand! I might buy the spa sox if i won. I might get The Perfect Size Shoe Rack. I might get the Kitchen Storage with Baskets for my dining room. I like the 68″ x 68″ Berber Corner Runners. I really want to get the Sets of 2 Lined Wood Baskets, its practical and great price too! I think I’d probably get the Debbie Meyer green boxes – I’ve always wanted to try them. 🙂 Thanks for the generous giveaway! I would get the Bright Mesh Office Supply Organizers! Complete Cat Play Gym for my kitty. oh she would love that. I like their Brooke Heirloom Embroidered Bedspread. I would probably get something like that. I might buy the Braves MLB Grill Cover. The Unicorn Ball Pet looks very nice! I might get the Black Bench 729834-2DB3-BLK if I win. Oh, I would so get the Peace Sign Night Stands. I would love to buy the wooden Raised Multi-Cat Feeder with stainless steel bowls. I like the Colts gnome ornaments. They would go well on my tree!